It is the times for all of us to stay alert and run for your lives. This is what Mommy Jane had learned after watching Korean latest hit movie, "Train to Busan", depicting that crucial life-and-death moment in keeping with the theme of Run For Your Lives at TGV, 1 Utama last week. Instead of watching in the movie, you could experience the tense to it too. Run For Your Lives, a game of flag tag set in the world of a zombie apocalypse will making its return to Malaysia this 31st December at Taman Botani Putrajaya. Begin in United States back in 2011, the games has attracted over 12,000 participants since its debut and has spread to other cities worlwide which include Bangkok, Singapore and Hong Kong. The premise behind the game is like what happening at the movie "Train to Busan" where zombie apocalypse has plagued the world, caused by an unknown virus. Participants may choose to run as a "Survivor" (human) or a Zombie. Gameplay is generally simple - the humans will have to outrun the zombies who have the goal of 'capturing' the humans. The journey to the safe zone with all the high risk areas. Besides Zombie, there will be various obstacles that you need to overcome and three story modes to enhance the Zombie apocalypse experience. Using technology and gamification, Run For Your Lives will works towards its goal of making exercise fun, helping participants to encounter a new experience while reaping the joys and benefits of getting active. "We're truly excited about bringing back Run For Your Lives to Malaysia. 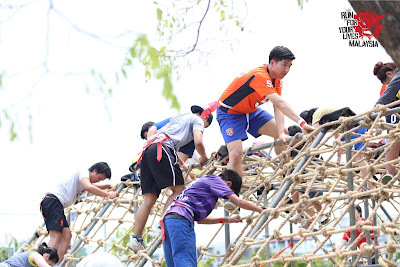 This unique experience promises participants a thrilling journey filled with different obstacles that will certainly get the adrenaline pumped up," said Mr. Leong Delon, Founder and Chief Executive Officer of Monkey Theory Sdn Bhd. Early bird registration of RM69 can be done at http://secure.monkeytheory.asia/event/Run-For-Your-Lives-Malaysia from this Saturday, 1st October while payment can be made via credit/debit card and online banking. Each participants will be given a choice to run as a Survivor or a Zombie, which provides them with different entitlements. 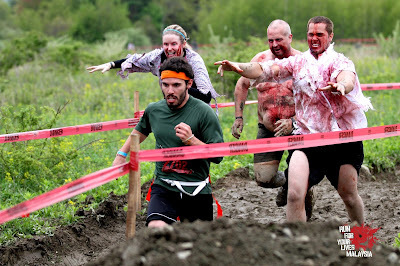 For you plan to run as Survivor, you'll get Wrist Tag, T-Shirt and a Medal and as a Zombie, you'll get the same plus a professional make-up so that you could looks like a real Zombie. Run For Your Lives Malaysia is organised by Monkey Theory Sdn Bhd with the support from Hype Malaysia, TanTan News and Siakap Keli as the social media partners. The official partner is Sunway Lagoon with Aery Jo Academy will be the make-up professionals.. Official hashtag for Run For Your Lives Malaysia is #RFYLMY. For more information and details, you could find it at www.facebook.com/rfylmy/. The Run looks fun but a bit scary. Imagine we are chase by Zombie as per the movie "Train to Busan". 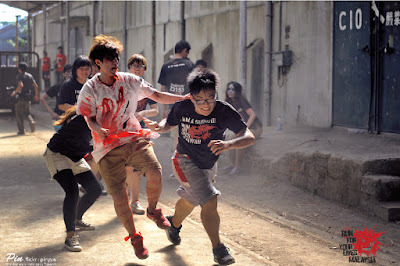 But these Zombie is a human being, guess won't be that scary but it looks fun to join with friends. There are lots of challenges and obstacles that a participant need to go through to win the game. Join the run now and have all the fun to end the year 2016 with something excited. I was invited too but I'm too scared to go!! hahah. Cause I chicken!!! Carina, ha ha ha... You're funny but we should have some challenges in life. Shrivani, the excitement is there and it is good to end the year 2016 with something that you will never forget. This looks like a lot of fun to join. Gotta keep fit to outrun 'em zombies! Emily, it is fun. Your friend can become Zombie to catch you out and see who will win the game instead. Oh wow, it looks really cool and amazing! Wish to join, must try at least once in our whole life!! Jac, indeed it is. A life time experience and hope you will enjoy it too. Miera, I'm sure your eldest daughter will love the run too. Let her join the run for something different to end the year 2016. Ivy, registered now and have fun. Oh my! Scary run.. But looks fun and enjoyable..